Lance and his wife, Terri, along with their two dogs headed to the National Corvette Museum Motorsports Park in Bowling Green, Kentucky. Lance will be competing in the Ultimate Street Car Association event this weekend in his 1985 Monte Carlo. USCA events are comprised of five separate competitions - Speed Stop, Autocross, Road Rally, Design and Engineering judging, and a Road Course Event. Lance's adventure into USCA events began last year, and he can't wait to get back into it this year. He shares his story below: I went to Daytona International Speedway last year to see what a USCA event was all about from a spectator point-of-view. 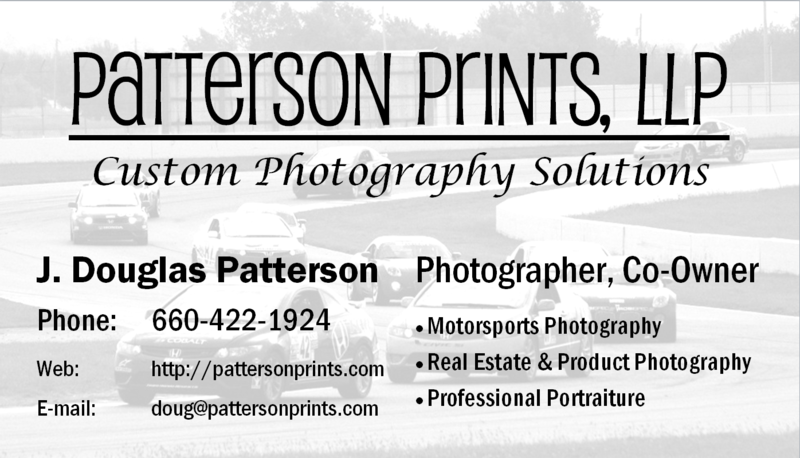 It was such a well-organized event, I could hardly wait to get behind the wheel at the Gateway Motorpsports Park July 19-20, 2014. Check out my thoughts, trials and triumphs from my first USCA event at http://driveusca.com/usca-gateway-participant-shares-his-story/ I decided not long after that event that I was going to try to do more of the USCA type of events in the future, even if it meant that I'd have to back off some of the local SCCA events. There is just SO much seat time at these USCA events in several different types of competitions. At last years USCA event in St. Louis, I made 13 runs in the speed stop competition in less than 2 hours, another 14 runs on the large autocross course in the afternoon session, then (5) 20-minute sessions on the road course on Sunday. That is an incredible amount of seat time for a weekend event. And I stopped early in every event - I could have run even more if I had wanted. USCA also provides instructors on the autocross and road course sessions if you want to use them. Andy Hohl gave me some pointers on the autocross course and even rode with me a few times to try to help me beat some of the high dollar cars at the event. Chris Alvarado was my instructor on the road course session the next day. Both of those guys taught me a ton and helped me pick my times up. Where else can you get that kind of instruction, for free...during an event that gives you more seat time than you can handle? Driving on the road course is my true love though. I spent the off season putting race seats, roll bar and 5 point harnesses in my car so I can run a HANS device safely at track day events. While not required for this particular event, these safety improvements make my car legal for everything road course related up to actual door-to-door racing. But more importantly, it makes me safer in the car at speed. I just LOVE driving my car on the road course. I can't describe the adrenaline rush I have when I'm in the car and even after I get back out after a session. It's like nothing else I've ever done with a steering wheel in my hand. I can't wait to run on the already iconic National Corvette Museum Motorsports road course this weekend. I am changing the way we travel to away events a little bit. My wife Terri and I are borrowing an RV and taking our two dogs with us to the National Corvette Museum Motorsports Park. This will be the first time Terri has gone with me to an away event and also the first time we have camped out on site at an away event. We did a trial camping trip in the RV last weekend. Can't wait to add this adventure to what I know is will already be a fantastic weekend at the races, and I am especially happy to have Terri along with me for the weekend. We are also looking forward to seeing all of the friends we have made over the past year from all across the Country that also participate in the USCA events. It is like an extended family, and it's been great getting to know all of these great people and I can't wait to see them (and race against them) again. I'll try to update the team on Facebook or otherwise during the weekend to let everyone know how we are fairing.